Win your exclusive game launch! ICE London is only a few days away! This year we’ve spared no expenses and will run an operator exclusive tournament with ELK Compete that you do not want to miss. 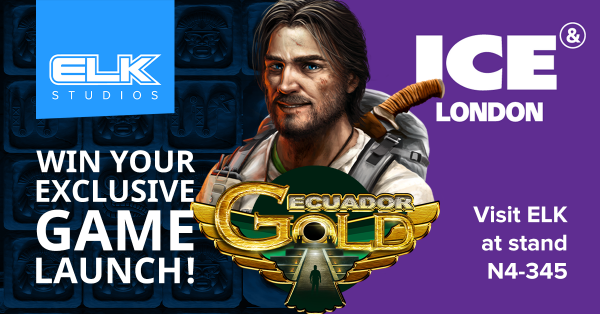 Ecuador Gold is our next slot, and will be released a couple of weeks after ICE. With a game narrative about hunting for gold and treasures in a mystic temple in the depths of the Ecuadorian jungles, it’s the perfect setting to use this game as the foundation for the tournament. The operator that ends up at the top of the leaderboard will win an exclusive game launch for an upcoming release this spring! For more information about the tournament, stay tuned here.